The 120 degree front-facing RV box camera is perfect for large vehicles needing cameras in all directions. Whether you drive a small car or a massive RV, there are times when mirrors just won't offer the range of vision that you need. Many vehicles have blind spots that can make backing up, shifting lanes or parking quite dangerous. It is not always practical to have someone direct you, which is why prudent drivers use backup cameras. A quality camera like our 120° RV Backup Camera is affordable, and the benefits are well-worth it. Installing a camera is an easy way to make your vehicle much safer. This camera mounts on the front of the vehicle. These days, powerful technology is much more affordable than ever before. Today, you don't need to have an extravagant budget to be able to use a high-end front camera. Our 120° RV Front Camera gives you all the features and performance you would expect from a much more expensive camera at a fraction of the price. Here at Tadi Brothers, we are proud of our selection of quality backup cameras, and our customers consistently praise their tremendous value. For starters, these cameras are durable. The road is full of potential threats like weather, rocks, pebbles, other vehicles and more. It would be a real shame if you installed your new camera only to have it destroyed by a thunderstorm or passing debris. You can tell as soon as you unbox it. This road-ready camera is strong enough to stand up to the rigors of the road. This tough camera is 100% weatherproof, and the rugged casing is made to withstand anything that may get thrown at it. You can count on all of our products to last. This 120° RV Front Camera is designed with function in mind. It is common for RV drivers to use backup cameras on multiple sides of their vehicle to be sure that all angles are adequately monitored. All Tadi Brothers backup cameras and monitors are compatible, so you can buy multiple cameras or simply install one and then decide from there. If you decide to upgrade your camera system with additional units, there is no need to worry about modifying your existing setup. This camera is made to be easy to use without compromising performance. Speaking of performance, the 120° RV Front Camera has plenty of it to offer. The military-grade night vision ensures that you will be able to safely back your vehicle into the tightest spaces, whether it is night or day. As the sun goes down, your camera will automatically shift into night vision mode so that you always have a clear picture. The high-quality color screen provides you with a detailed, vivid picture so that you never have to second-guess your decisions. This excellent camera will give you an accurate view of obstacles that would otherwise be obscured. If you want to make a responsible decision that could prevent avoidable accidents, consider ordering a quality backup camera from Tadi Brothers. We are well-known for selling top-of-the-line products without the premium price tag, and we specialize in cameras, so you can be sure that you are buying from a reputable source, not a chain store just looking to make an easy profit. Our 30-day money-back guarantee allows you to buy confidently. 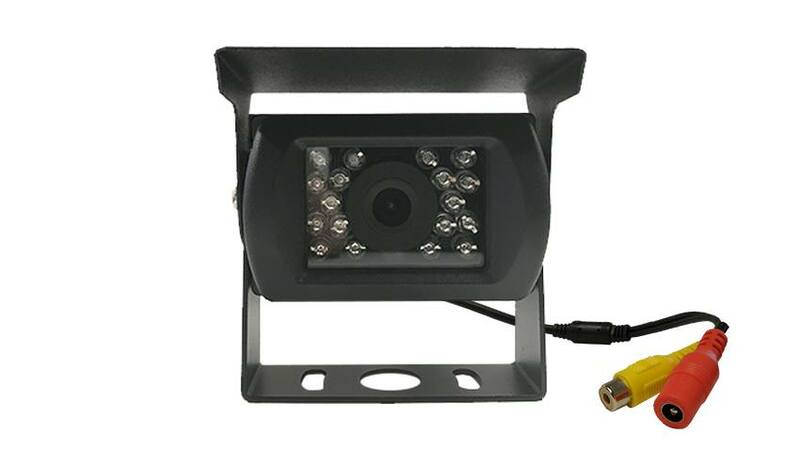 Order a 120° RV Backup Camera online today!